At a very early age children learn the history of the world and the Jews through the enthralling stories found in many varied sources. They learn that the world was created in six days; that Avraham knocked down the idols in his father's store; that Hashem told Avraham Lech Lecha and Avraham and Sarah traveled away from their homeland; that Issac married Rivka at the age of three; etc. The problem with teaching in this way is, in my view, children don't differentiate text based stories and Midrashim. This may no seem to be a problem on the surface, however just from the list above we have a two-fold problem. First, when the student begins to be able to read the chumash on their own some famed and loved stories do not appear even as the student spends hours searching and becoming discouraged at the text and his/her teachers. I have adult friends who still remember being very confused that Avraham's father's idol shop appears nowhere in the text. Second, several Midrashim can be found on certain issues, including that of how old Rivka was when she got married, so once the student can reconcile him/herself to the fact that his/her teacher has some how mixed everything up in his/her head (if they can reconcile themselves) the student now has to deal with the fact that he/she was taught only one of many possible stories and therefore needs to explore why the teacher chose that one to teach and how will he/she now be able to reconcile all the differences of the rabbis with the over riding bias that the teacher gave him or her at such an early age. 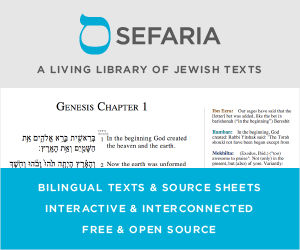 Therefore, when should we be teaching the differences between Midrash and Text and what can be found in each? How do we help both students and teachers with how to incorporate both into teaching without causing students undo difficulty while still receiving a complete Jewish education. Teach the difference from the very beginning. Even if they don't really understand the difference between saying that a story is written in the Torah, or is from a Midrash/Gemara/Rashi but doesn't appear in the Torah, you wont damage them by inserting a little comment right before/after a story giving its source. Kids are smart - they will hear what you say and store it for later. And when they get older and start to read, then you can show them more about the sources for different stories, explain the difference between the Written Torah and Oral Torah, etc. R. Hershel Schachter told me that children should first be taught peshutto shel mikra; the simple meaning of the words, and not be taught Midrash at all. Afterwards they should be taught Midrash. He explained that Midrash is Torah Sheb'al Peh, and distinct from mikra which is supposed to be taught first. Presumably he had in mind Avot (5:21) which states that five years of age is the time of learning mikra, and ten years of age is the time of learning Mishnah (a term often taken to mean to Torah Sheb'al Peh as a whole, see e.g Hilkhot Talmud Torah 1:12). Accordingly, the age to first teach Midrash at all, would be ten. An interview with R. Schachter about the importance of teaching children pashut peshat can be found here. After trying out a few different approaches with my own children (12 of them, boys and girls) it seems pretty clear to me that children should be taught the midrashim right away because they will be picking them up anyways in school and in their own reading and learning. However, they should be taught immediately and repetitively about the concept that these teachings are midrashim that are not always to be understood literally and there many opinions that contradict these teachings. However, one should be very careful to not degrade in the child's eyes the concept of the Torah she'bal peh as that itself can be as dangerous as believing that every Midrash is part of the peshuto shel mikrah. Not the answer you're looking for? Browse other questions tagged torah-study midrash children-parenting minor-katan-child chinuch-education .